In this decision case, students consider the pros and cons of reintroducing grizzly bears into the northwestern United States as they learn about natural resource policy and the wildlife management decision-making process. Students consider four different approaches to grizzly bear recovery and management in the Bitterroot Ecosystem. As part of this, they assume the viewpoint of a stakeholder group, including environmentalists, government officials, residents, hunters, natural resource managers, ranchers, loggers, American Indians, wildlife biologists, and the tourist/recreation industry. 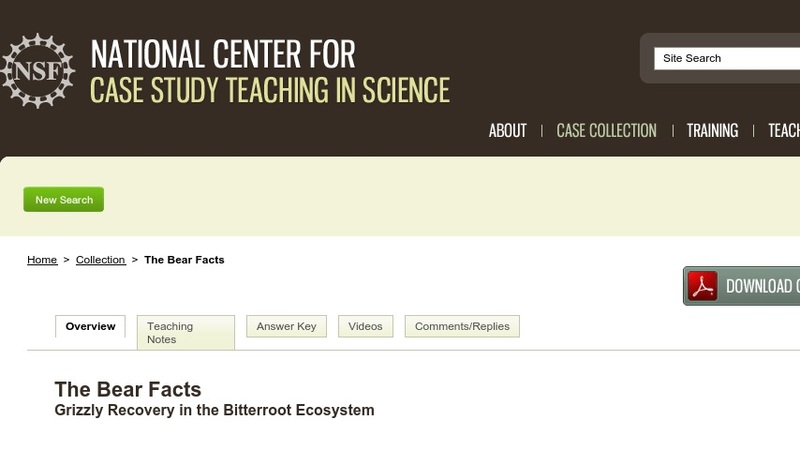 The case was developed for use in an upper-division natural resource policy course.